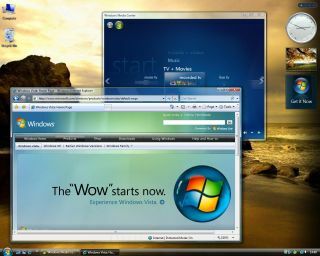 Microsoft has published a list of all programs officially certified to run with its Windows Vista operating system. However, the list lacks some of the most popular applications. Microsoft's list of Windows Vista-certified programs includes some 800 software applications that have passed its internal tests and thus have been awarded the 'Certified for Windows Vista' or 'Works with Windows Vista' logos. Among the programs are Trend Micro Antivirus, Magix' software suite, Google Toolbar, Nero 7 and PowerDVD. But many popular and well-known names are missing from the list. Some of Adobe's programs, such as Photoshop, Illustrator and InDesign, and Symantec's security suites, are missing. And so are many other big anti-virus names like Computer Associates, F-Secure and Panda Software. However, Symantec pointed out that its programs should work with Windows Vista. Although many programs are still missing from Microsoft's list, it doesn't necessarily mean they won't work with Vista. Many written for Windows XP are compatible with Vista, although some may have little niggles. To have a program officially certified for Windows Vista, individual companies have to pay. ArcSoft allegedly forked out around $10,000 per program for its suite of six programs, and for smaller companies particularly this could affect their willingness to have their programs certified. Further to Microsoft's own list of Windows Vista-certified programs, there is another list of programs that will, or won't, work with Windows Vista here .